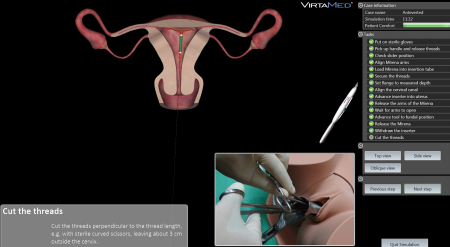 The VirtaMed PelvicSim™ provides training for uterine sounding and IUD insertion without risk to live patients. Learners use real intrauterine devices (IUDs) and original instruments, including a speculum and tenaculum forceps. The SimProctor™ feature allows self-guided training with tips and tricks to improve performance, and the patient comfort scale offers feedback on how the patient is feeling. 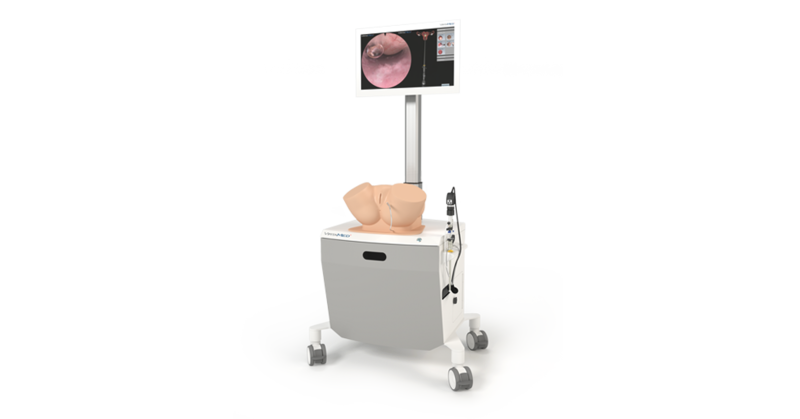 The VirtaMed PelvicSim™ is available on a pelvic model that can be mounted on a display cart with a height-adjustable touch screen, or the mobile model can be purchased on its own for use at conferences or training sessions. The VirtaMed PelvicSim™ training modules allow physicians to practice motor skills and correct placement of intrauterine devices. The VirtaMed PelvicSim™ uterine sounding module contains cases of anteverted and retroverted uterine cavities as well as nulliparous and parous patient cases. Learners use a speculum to manipulate the version and flexion of the uterus with a tenaculum forceps. The IUD cases allow physicians to practice placement of the Mirena®, Skyla/Jaydess® or ParaGard® in anteverted or retroverted uteri. 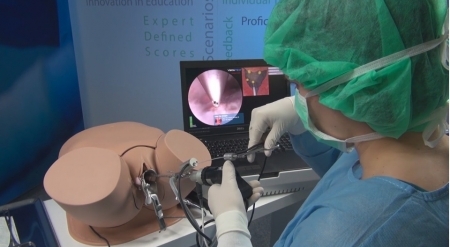 The VirtaMed HystSim™ for hysteroscopy training can be combined with the VirtaMed PelvicSim™ on the same pelvic model for more training options. The VirtaMed HystSim™ offers a spectrum of hysteroscopy cases for beginners to advanced practitioners. Residents can prepare for their first procedures with the essentials module: they can learn to correctly access and navigate, handle the hysteroscope, to take a biopsy or remove polyps with scissors or a grasper. 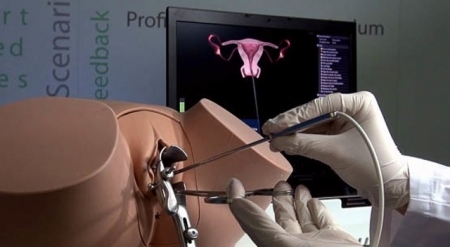 In more advanced modules, learners can perform polypectomies, myomectomies, an endometrium ablation and handle a variety of challenging cases, including multiple pathologies, a septum and severe bleedings.